When Kristen Cavallo stepped into her role as CEO of the Martin Agency in 2017, the circumstances were far from ideal at the Richmond-based advertising agency. Chief creative officer Joe Alexander left the company after he had been accused of sexual harassment. Meanwhile, the agency was dealing with questions about its environment, as multiple employees told the Richmond Times-Dispatch their complaints about harassment were ignored for years. Cavallo’s path to the company’s top job was unconventional and unpredictable. Not only because she became the agency’s first female CEO following a sexual harassment scandal, but also because she never imagined herself there in the first place. 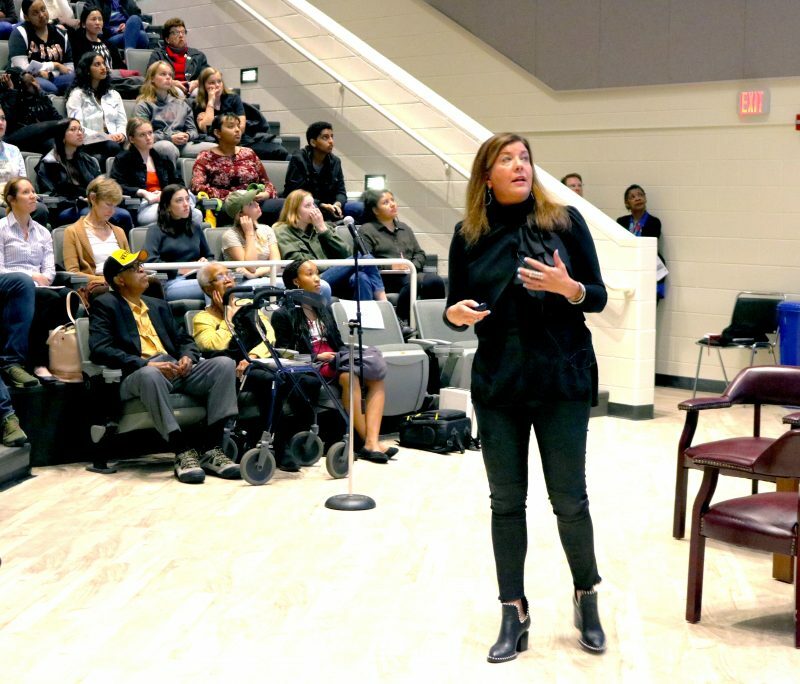 The event, titled Female Leadership in the Age of #MeToo was organized by the Robertson School as part of a speaker series. It was moderated by advertising professor Jessica Collins. 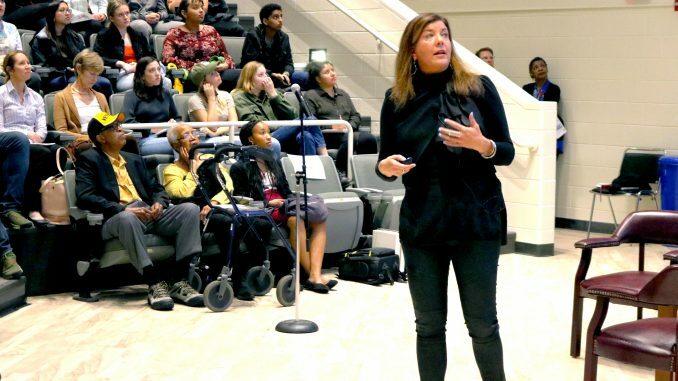 Cavallo focused how society could empower women to pursue leadership opportunities in male dominated industries in the wake of the #MeToo movement. The #MeToo movement began in 2006 to help women of color and from women from lower-income communities who are survivors of sexual violence. The movement went viral on social media in 2017 as women shared their stories of sexual harassment and assault with the hashtag “#MeToo” to show how widespread incidents were. Cavallo said she doesn’t want to be the poster child for the movement, but wants to focus on female empowerment more broadly. An earlier version of this article stated former Martin Agency chief executive officer Matt Williams was accused of sexual harassment. Williams was not accused. Joe Alexander, the company’s former chief operating officer was accused. The Commonwealth Times regrets the error.